We are thrilled to announce that our first female, Charlotte Z Vetraku is now at Shirebourne. 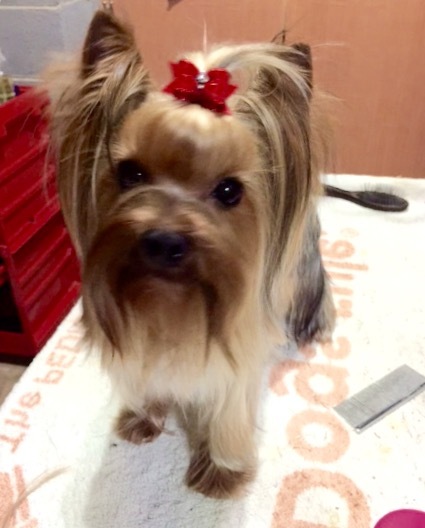 Charlotte came to us from Arane Yorkshire Terriers and was owned by Dianne Hinson of Concord, NC. She is originally from the Czech Republic and was bred by Klára Aubrechtová. Thank you Dianne for entrusting us with Charlotte. Sire: "Ch. Impossible Stribrne Prani"
Sire: Ch. Impossible Stribrne Prani.